The fleet stormed south from South Beach after a raucous start yesterday morning in 21kt east-northeasterlies. Perfect conditions for a blast down and around the curve of the Florida Keys saw most of the fleet head across the Gulf Stream and start working offshore right around Islamorada. The conditions took a toll, with the Seacart 30 ceding it’s spot near the leaders due to rudder failure and heading to Key West for a better-than-most-places consolation prize. 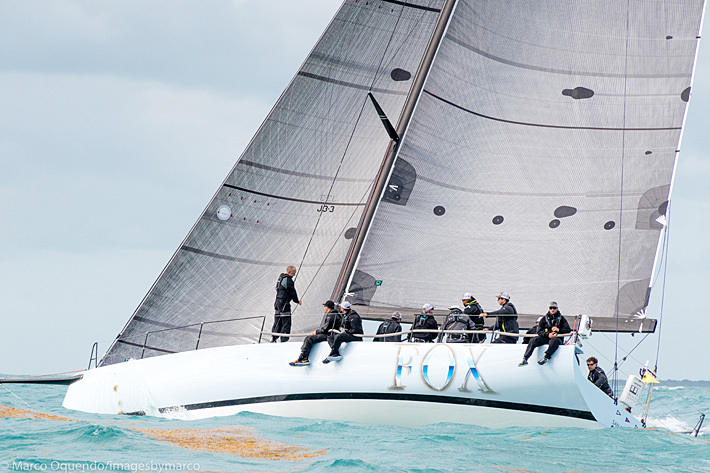 Victor Wild’s California-based TP52 Fox showed the way with a record breaking performance. Despite more moderate conditions on the approach to Havana, the team shaved over two hours off of the course record, set last year by Spookie. We will have comments from the team when they reach their slip here in Marina Hemingway, after wrapping up an excellent season in the SORC Islands in the Stream Series.